The Airbrush Makeup Guru: Eulenspiegel: quality Airbrush Body Painting from Germany at the rightprice! 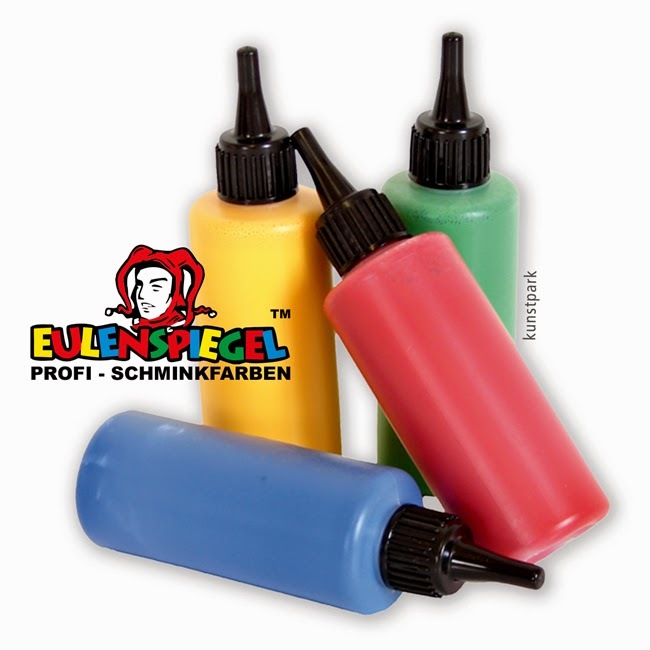 Eulenspiegel: quality Airbrush Body Painting from Germany at the rightprice! Eulenspiegel is a German makeup brand with a straight forward philosophy: to offer a quality line of body painting and fantasy makeup products at an accessible price. We are not using the word "quality" lightly here: the products are certified according to all the current European standards, they are hypo allergenic, and gluten, paraben and animal cruelty free. We have had the pleasure of meeting the Eulenspiegel Team at Cosmoprof 2013 in Italy, and we will see them again this year during the 2014 edition of the trade show, where as usual their stand will be crowded with customers attracted by the wide product range and by the decidedly affordable prices that they offer. For the discipline of airbrush body painting, Eulenspiegel produced "Airbrush Star", a series of 30 highly pigmented airbrushable colours in 30 ml bottles for the great price of 6,95 Euros per colour. The products are water based, and according to the literature they are suitable for airbrushes with a 2.0 nozzle and up. After trying them I can confirm that this is correct, however given the viscosity of the liquids, at least in their undiluted form, I would definitely recommend using them with an airbrush with a 0.35 nozzle and up. The colour payoff is actually excellent: all you need is a few drops and a few passes to cover a wide area effectively. For a whole adult face, for example, 12 drops will be more than enough to achieve a complete, solid coverage. The colours will need a few minutes to dry completely, and you may want to set them with a colour free powder to speed drying. Once dry, they will have a very good stability and they will be resistant to water, sweat and transfer. The only downside that I have found with this product is the difficulty in removing the pigment from the airbrush once application is over. Because of its high pigmentation, the product will leave a persistent residue that will require very thorough cleaning at the end of session. This however does not represent a problem during the session itself, because the residue will not clog the nozzle, and there will be no particular need for cleaning in between colours. If you are on a budget, you may chose to buy just the primary colours and mix them to achieve almost any shade, but you will find it hard to resist the beautiful pre mixed shades that are readily available on the online store. Shipping from Germany is fast and cost effective, so you can try this line by ordering directly from the original website to your own Country. PRO TIP: be sure to cut off the tip of the nozzle on the bottle as little as possible: if you cut it too low, a gap between the nozzle and the bottle cap will form and the colour will spill everywhere the next time you open the bottle. 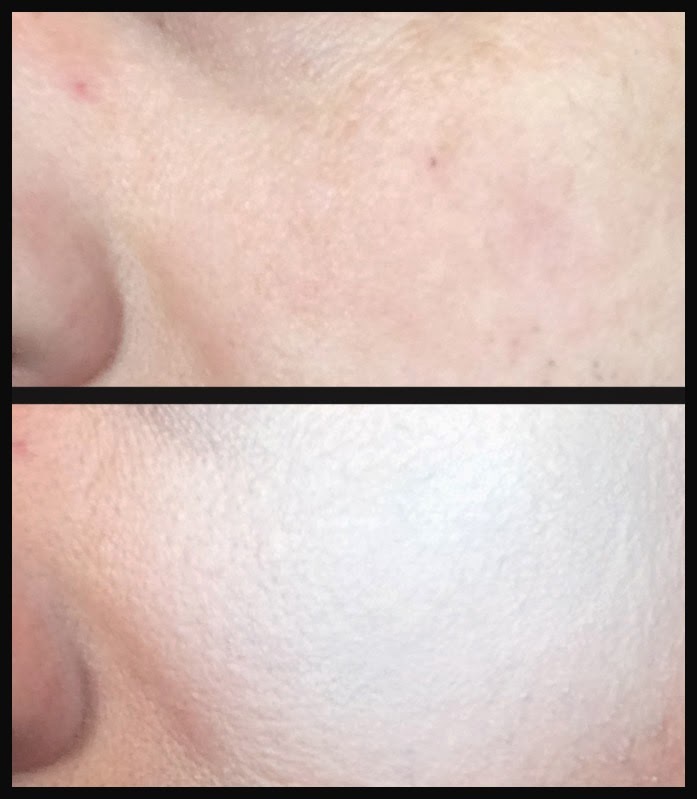 Coverage with just three drops of colour White. amo il body painting, mi piacerebbe provare!!!! bellissima questa arte grafica del body painting, mi presterei volentieri come modella..
amo il body painting.... li vorrei tanto provare.. The body painting is really something unique ! I love this technique too !